Are there really fat burning foods that can speed up your metabolism? Yes! By eating the right foods, you can trick your body into burning through its extra fat. When you were young and you felt a cold coming on, your mother probably told you to take lots of vitamin C. Vitamin C is a popular immunity booster, but it has a secret talent as well: It helps you burn fat faster! Vitamin C boosts your fat-burning power in two ways. First, it speeds up the process of fat metabolism. It also seems to have an effect on fat storage. The citric acid breaks down fat molecules, making them less likely to accumulate and more likely to be flushed from the body. Due to their Vitamin C content, citrus fruits rank highly among fat burning foods. Try adding a variety of citrus fruits to your diet, such as oranges, tangerines, lemons and limes. It’s better to eat the whole fruit than to drink the juice, because the fruit contains fiber – another fat-fighter. Don’t fancy fruit? Tomatoes are also fat burning foods. Use fresh tomatoes in your homemade sauces for metabolic boost. Ginger is another tangy fat-burner. It is also a vasodilator, which means that it opens up the blood vessels and improves blood circulation. 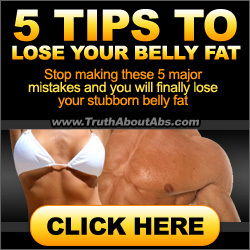 This can result in a significant boost to the metabolism. In fact, studies suggest that people who eat ginger may lose as much as 20% more fat than their peers. Ginger and citrus flavors complement each other well, especially in Asian dishes. Experiment with this exotic blend, and you can lose weight without ever feeling deprived. The carbs in oatmeal provide a quick rise in energy to help you wake up faster. But the carbs are complex and get digested slowly, which keeps your energy up and your appetite low for hours after breakfast. As an added bonus, oatmeal lowers cholesterol, too! Nuts and beans are nutritious fat burning foods that also keep your appetite in check for long stretches. Like oatmeal, nuts and beans contain fiber that kick-starts your metabolism. Unlike oatmeal, they also contain a significant amount of protein. Protein is vital for building lean muscle mass, which burns calories faster than fat tissue. Olive oil has long been recommended by doctors for its heart health benefits. Olive oil contains unsaturated fat that increases the number of high-density lipids in the bloodstream. These lipids, also known as “good cholesterol”, or HDL, sweep bad cholesterol from the arteries. By substituting olive oil for butter and margarine, you can actually lower your bad cholesterol and increase your metabolism. 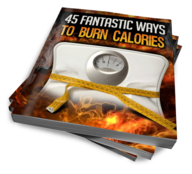 Fat burnings foods can help you reach your weight loss goal faster. Add some fun cardio exercise and plenty of hydration, and you’ll have a recipe for success!